When Jason Herbert was 8, he wanted to help with some of the work the family was performing at their cottage up north. So he was given a job – to put shingles on the out house. He must have been bitten by the bug. Jason started in the family business when he was in high school. He learned every aspect of the business - from installation to sales, from his father, Brian. In 2008 he became part owner in the company. Jake started in sales in the office in Croswell, MI. With his energy and take charge attitude, he quickly became an invaluable member of the team. He is experienced in estimating, running crews, and the general operation of the company. 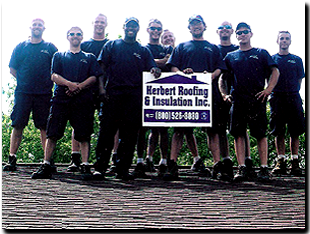 His expertise led him becoming a partner in the company, teaming with Jason to help continue the success of Herbert Roofing. Brian Herbert started the company back in 1973 after getting out of the Air Force. 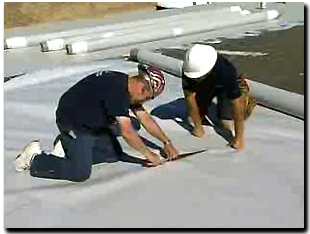 The company started in the Croswell area, specializing in commercial roofing. 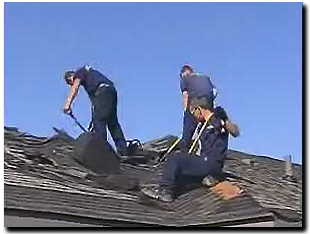 In 1982 they moved to Saginaw, continuing with commercial roofing, and started installing Duro-Last. Towards the 1990’s he started moving the company into residential roofing, where they attained GAF’s Master Elite status, being one of the best commercial and residential installers in the area. Eventually, he would take a back seat as his son Jason and trusted employee Jake became partners and started running the day to day operations.